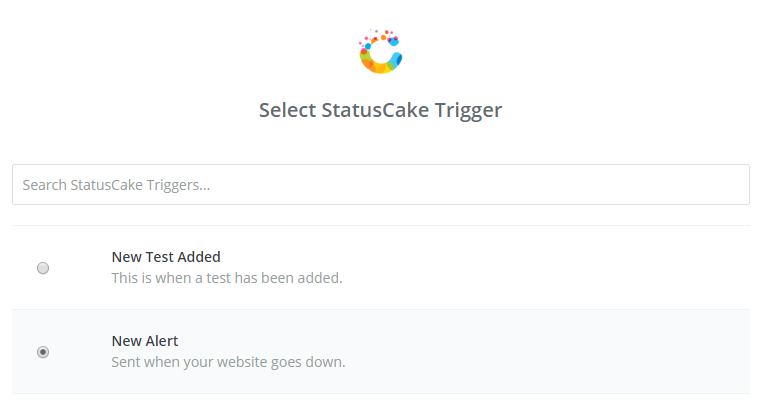 A Public Reporting Page displays information on a selection of tests in your StatusCake Monitoring account. On our paid accounts you can add as many tests as you wish to a Public Report, when that’s done you will see data on the last 7 days of uptime, as well as the same Status Periods that you would see in app. You can add as many of these as you require and there’s access control available with an optional password requirement. It’s possible to fully customise these pages on our paid plans, you can modify the CSS, colour scheme, and also add a logo if required. What can I do with the new API functionality? Get information on a single page. Get information on all pages. For more information and to get started right away automating the management of your Public Reports, please check out our API documentation for the technical details. For any questions please don’t hesitate to contact our friendly support team! Ever wanted to keep a backup of StatusCake data without manual entry or usage of the API? This article will take you through a different and automated method of doing so for the Up and Down test alerts. This is done with the help of the Zapier service, and the data will be stored in Google Sheets. 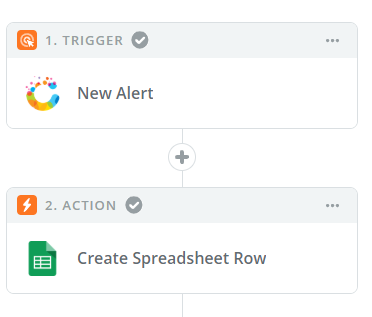 It’s easy to set up automated input of your downtime data to Google Sheets through Zapier. Each time that a website goes down, a new row can be added to your spreadsheet, and another row will be added when it comes back up. This gives you a great raw record of your downtimes, and this data can be retained for as long as you choose. The Zapier integration can grab info from each alert, including: the test’s name, the UP/DOWN status, the time of the alert, the location that the testing came from, and the status code that was present. You can choose exactly how you want the spreadsheet to be formatted when creating the Zap, and which details should be included, when this is completed you’ll see the up and down alerts looking something like the above in your spreadsheet. If you would like to give this Zap configuration a try, you should use StatusCake as the “Trigger” and Google Sheets as the action, it’s just these 2 steps that would be required. You can now install our very own StatusCake app on any iOS or Android device. This means you can check your test status on the go wherever you are without needing to log into email or access the StatusCake site in a mobile view! At launch the app covers Uptime, SSL and PageSpeed type tests, and you can view all of the important information for each type at a glance. All you will need to make use of this is your StatusCake username and API key. 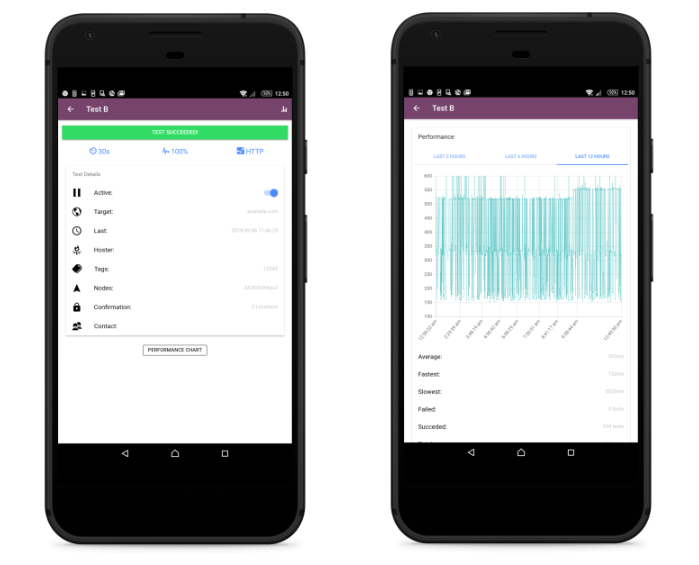 For Uptime tests the app allows you to see the current Status, as well as other details such as the set check rate, the URL target of the test, the uptime percentage, the time of the last test, any tags that are assigned – and lots of other useful information. 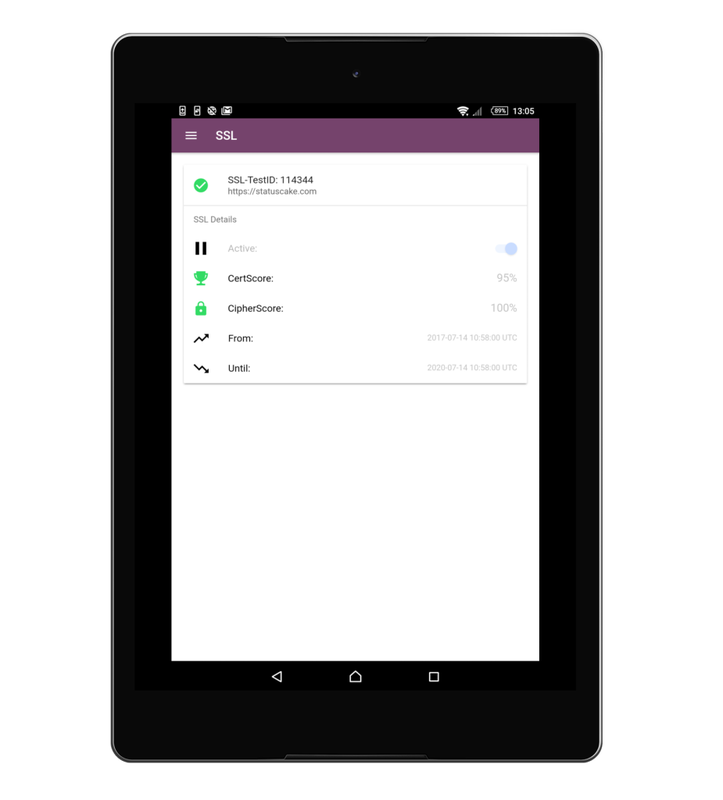 It’s also possible to pause tests through the app with a tap of the screen. In the SSL section of the app you will see a summary of SSL certificates being monitored with StatusCake. At a glance you will be able to view the Certificate Score, Cipher Score and From/To Expiry date information for all SSL type tests within your StatusCake account. 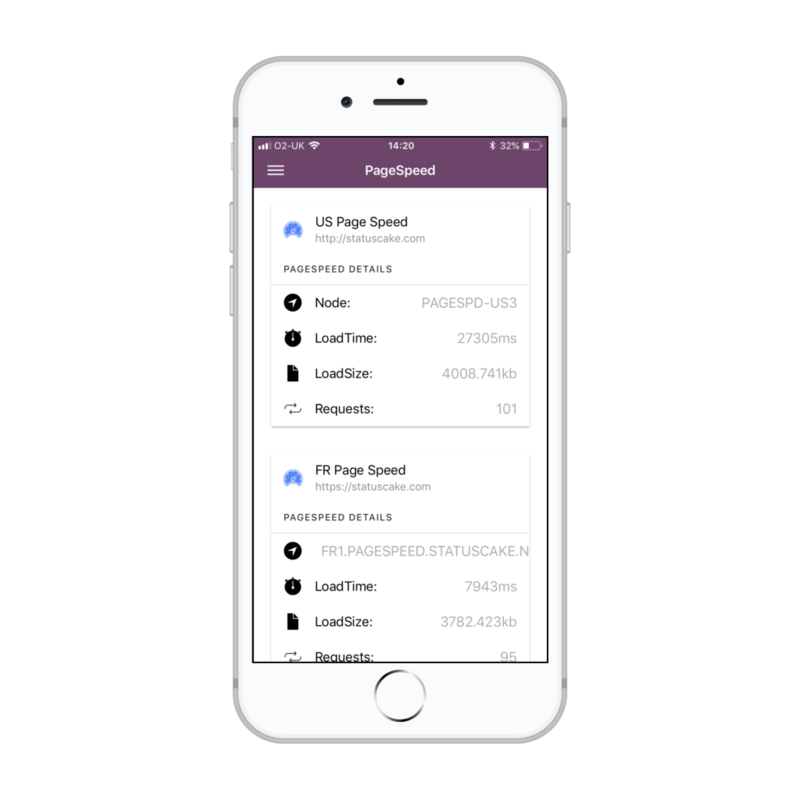 You can also view Page Speed data within the app, Data will be shown on the tests in your account including which location the Speed Tests are running from, the latest load time and page size figures, and the total number of requests completed during the last check. In order to log in to the StatusCake app for Android and iOS you will need to obtain your username and API key from within the StatusCake account. Both of these details can be obtained within the User Details section of the account. We hope you like the new app, and for any questions don’t hesitate to get in touch with the support team! 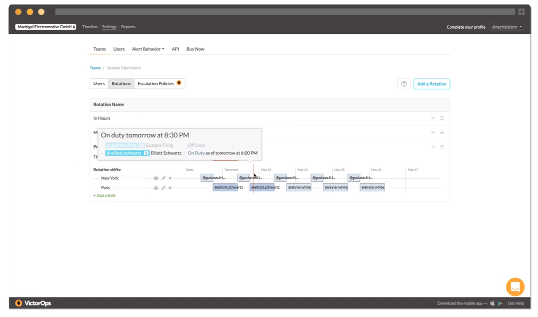 The VictorOps application is an incident management system built specifically for DevOps. It’s focus on system data and team collaboration makes it an excellent choice for ensuring that StatusCake alerts go to the right person at the right time, which will reduce alert fatigue and ultimately increase uptime. On call scheduling which allows you to set up virtual teams, escalation policies and rotations through the prefferred contact methods. Noise Suppression which allows you to intelligently silence irrelevant or un-actionable alerts. Live call routing for when a phone call collaboration is the best way to handle the incident. Full reporting which allows you to capture actions carried out by staff, and see trends and insights over time. As with our other integrations you can run VictorOps on any platform, from mobile to desktop and beyond! It’s also possible to use this application in conjunction with some of our other integrations like Slack. If you’d like to read some information on integrating Slack with VictorOps just check here. VictorOps is very easy to set up in the StatusCake app as an alerting integration, and the entire process can be completed in less than five minutes. You can check out our guide for setting up the VictorOps integration here. 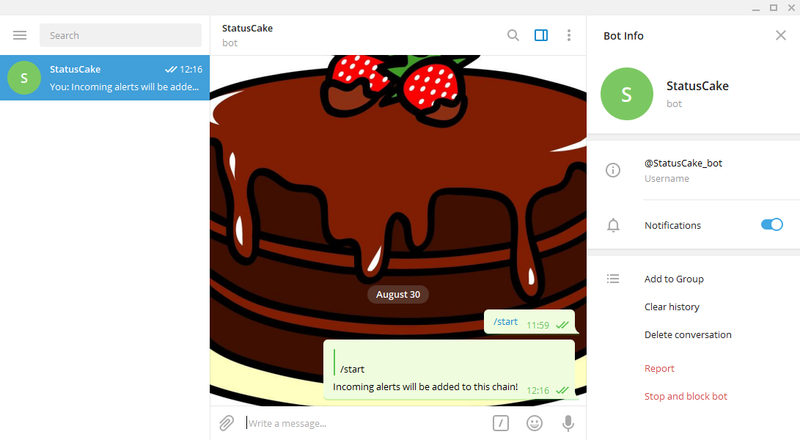 Today we’ve further expanded our list of alerting integrations, with the introduction of Telegram you now have a new way to receive fast, cloud based and private notifications from the StatusCake app, on the platform and operating system of your choice. Telegram has all of the industry standard features, along with some handy unique ones for good measure. The software will enable you to access your messages from multiple devices. All the the basics are here: accessing your messages from any device, security that keeps your information safe and even an API for custom use-cases. In addition to the general tools, Telegram has some useful extras like auto-destruct messages which work on timers, global servers running to ensure that you can pick up your messages wherever you are, and a complete lack of limits on the size of uploaded media and chat history – added to the fact that you can pick up and start using this software completely free of charge! To get set up with the Telegram integration just check out our getting started guide on the Knowledge Base, and for any questions on general usage feel free to get in touch with our support team via live chat!